Opinionated law marketing & business development advice and commentary from one of the profession's most respected lawyers in Law Practice Management. Ethical issues and dilemmas hit the legal profession from all angles. In serving as issue editor for the September 2018 edition of the ABA’s Law Practice Today (LPT) webzine, I sought to address a wide variety of subjects from attorneys with different practices and backgrounds. Of course, I authored my own piece, What Do the Revised Rules for Lawyer Advertising Mean for Me?, recapping the recently adopted Resolution 101, passed by the House of Delegates at the ABA Annual Meeting in Chicago this past August. These suggested amendments to the Model Rules (7.1 through 7.5) relate to the realities of today’s lawyer advertising. While change is long overdue, it will be interesting to see the true impact that they may or may not have on state bar regulations and subsequent enforcement. Leaders of many of the nation’s biggest and baddest law firms converged in New York City recently to discuss the rapidly changing legal landscape and how to adjust not only to survive, but thrive. The oft-repeated themes of innovation, differentiation and collaboration ruled the day. DLA Piper’s Roger Meltzer gave the global firm perspective. The program titled “Harnessing the Power of Collaboration,” could have been called “how origination dooms us all.” As the infamous quote goes, the first step is in admitting that you have a problem. I was drawn to the Big Law Summit because these law firms are my clients. The issues and answers that ruled the day reinforced those that I experience whenever I’m sitting with a Big Law managing partner or management committee. The conversations struck honestly at the heart of the issues that need to be addressed for major law firms to thrive in today’s global marketplace. Kudos to BNA for putting together a well-run and organized program on a subject matter that clearly had an audience. 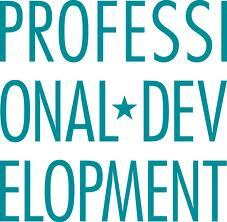 For the May issue of Law Practice Today, focusing on the theme of professional development, I asked my colleague Megan Greenberg, formerly Director of Professional Development at Richards Layton in Delaware to lead the charge as issue editor. Megan’s experience as a practicing attorney and PD director, along with her involvement in the Professional Development Consortium (PDC) made her the perfect person to put together leading experts and authors, with timely qualified topics on the ever-increasing role of PD in the law firm. Peta Gordon‘s very timely piece on “The Other Half.” With the popularity of Facebook COO Sheryl Sandberg’s best-seller Lean In, the author talks about work/life balance following the birth of her second child. Peta is a senior associate in Kaye Scholer’s litigation department. Her story will resonate with many female attorneys working to balance a demanding professional life with raising a family. It is my pleasure to serve as Editor-In-Chief for the American Bar Association’s Law Practice Today monthly webzine for the 2012-2013 bar year. This month’s theme is “billings and collections.” Thank you to issue editor George Leloudis of the Woods Rogers law firm in Roanoke, Virginia, and Associate Editor Andrea Malone of White & Williams in Philadelphia, for their hard work on this issue. Among the interesting articles in this month’s issue is Arthur Greene’s “Collecting Your Fees with Ease,” Ed Poll on “effective collection requires a collection policy,” and Richard Goldstein discusses “inspire your clients to focus on the value rather than the bill.” In addition, we have our interesting monthly practice management themed columns. To read the October issue, click here. And be sure to subscribe to receive LPT at no cost each and every month, compliments of the ABA and LPM.